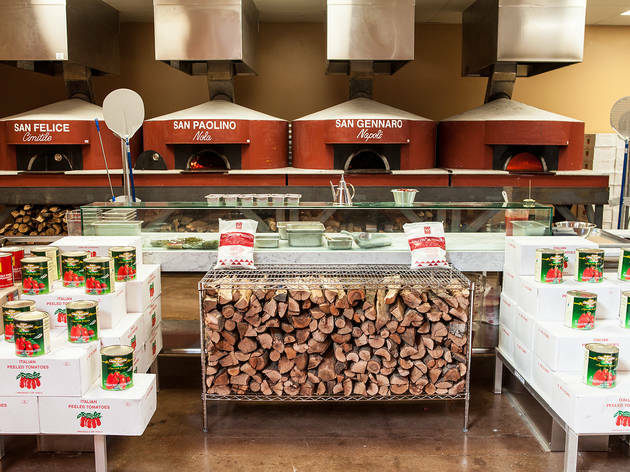 Neapolitan-style pizzeria DeSano brings a true taste of Italy to LA. 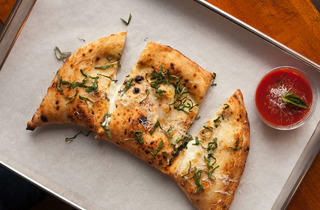 And we're not just saying that: mozzarella di bufala (buffalo mozzarella) is flown in fresh from a small town in Campania, flour is shipped over by boat, salt is gleaned from the Mediterranean Sea, and their handmade wood-burning ovens are supposedly made with "volcanic rock from Mount Vesuvius". 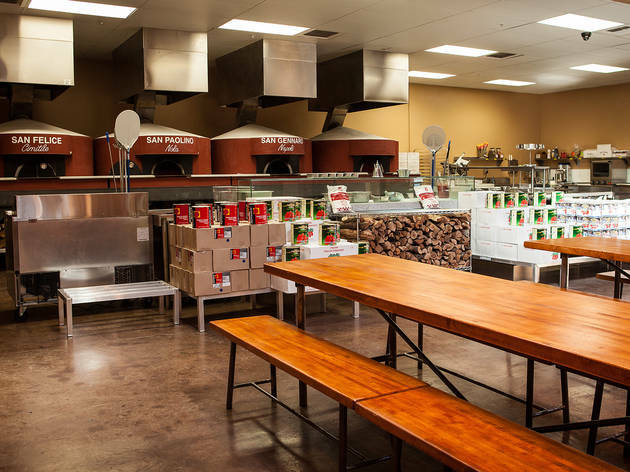 They'll be ready with your order in all of sixty seconds, so you'll have plenty of time to mingle inside the spacious dining room, or get back to work in a hurry. 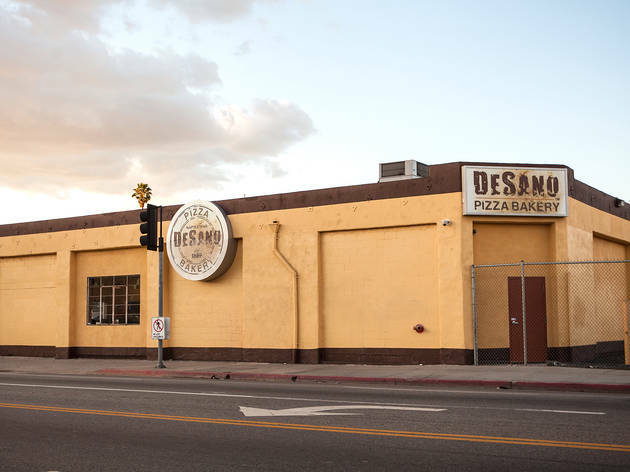 Good service, flavorful toppings, and an excellent space, De Sano is a welcome addition to a particularly dead stretch of East Hollywood. Their parking lot is so massive they don't even bother to mark spaces (which, given their increasing popularity, has actually started to get annoying as there are a lot of cars in there these days). 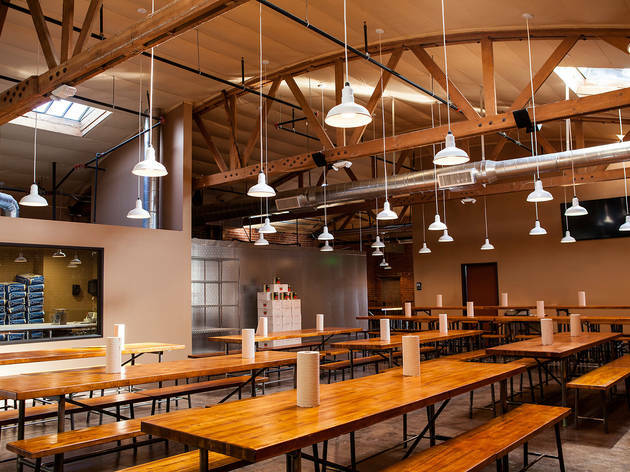 Their interior is filled with picnic tables; it's great to meet up for a casual gathering with friends or to host a larger party. 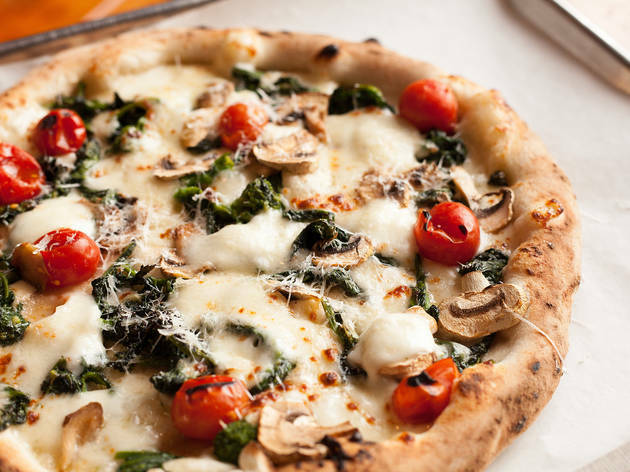 Every pizza has fresh, delicious toppings. 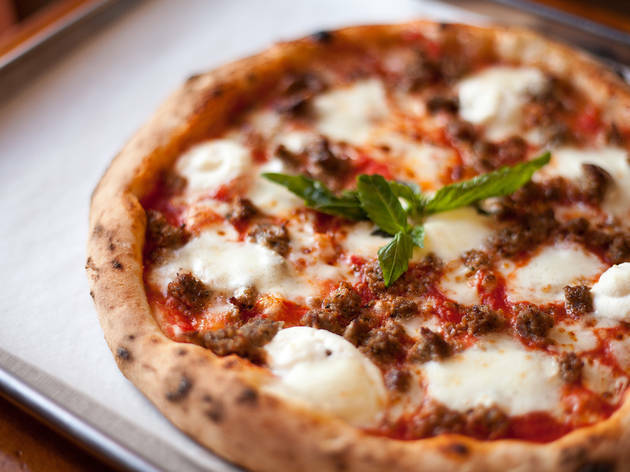 That said, if you're looking for a fluffier, doughier crust--this spot isn't for you. 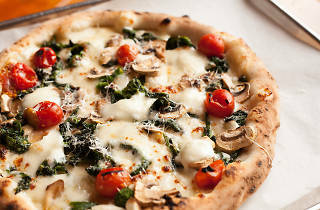 Charred Neapolitan-style crusts aren't quite my thing, but if they're yours, enjoy! Be aware, when going to pay, they frustratingly don't separate take out orders from walk ins. 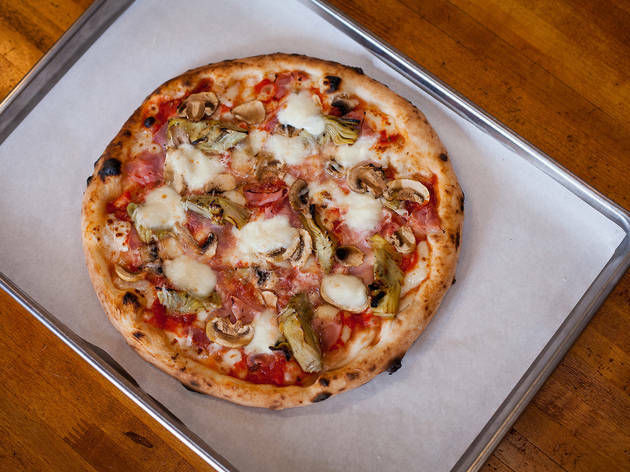 So you may find yourself staring longingly at your rapidly cooling pizza, ready to go, unable to actually claim it for 10+ minutes because they only have one register going and for some reason aren't prioritizing customers whose food is literally ready and just need to pay. I have, on numerous occasions, been behind groups of 5+ people who aren't quite sure yet what they want to order, while my pizza gets cold. That said, on the rare occasion my pizza actually wasn't ready when I arrived to pick it up, they gave me an entire extra pizza as an apology. Service can be great, but their front of house procedures need a little tweaking. Love the food, the service and the fire in the fireplace :) My girls always enjoy going here... my little one says "They have the best pizza and ice cream!" Accessible for all people of all ages. The dough is supreme. Super fun, chill, and easy. A great community vibe and plenty of parking. I have seen bdays celebrating 70 year olds and 3 year olds. Every one loves the pizza though pump out. They have a room just devoted to dough making. 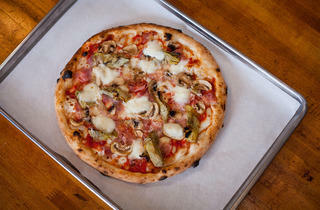 Best pizza in LA, super friendly vibe, a comedy show on Fridays, and a parking lot to boot. outside it looks like a potential meth lab. 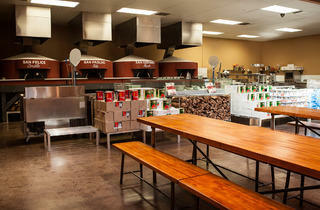 inside, there is fresh gelato and amazing pizza. 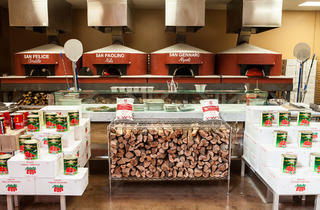 really fresh ingredients and authentic combinations. be warned that you can't substitute- you really don't need to, they have it down. Best food! Best desserts! Best service!!! I love this place and would eat here every week if I didn't live in Orange County. 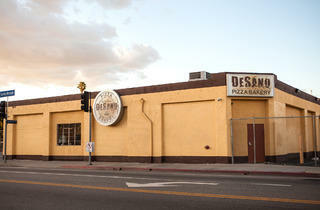 Desano is one of the best classic American style pizza you can get in Los Angeles. I would definitely recommend ordering the Desano, which is topped with sausage, peperoni, garlic, caramelized onions, scamorza, mozzarella, and pecorino romano. Delicious! The ingredients are unbelievably fresh. 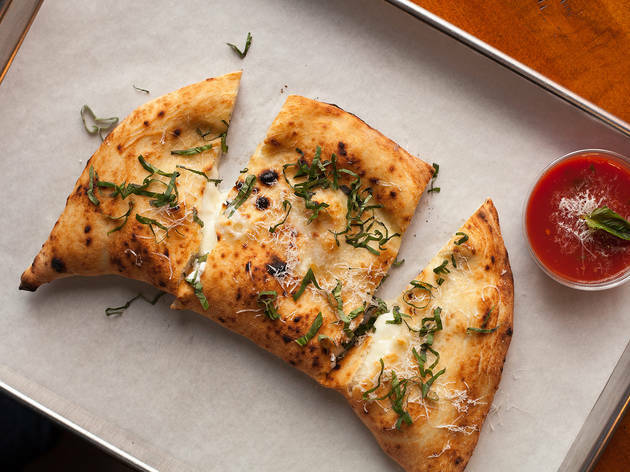 The crust, baked to perfection. 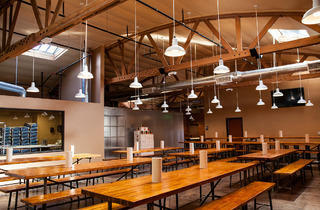 The seating area is spacious and airy. An incredibly needed change from the ongoing claustrophobia currently happening in the L.A. restaurant scene. 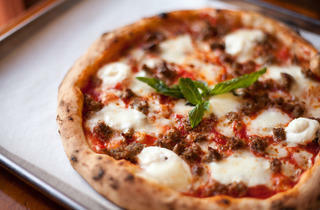 If you are looking for a refreshing change of pace, and a REALLY good pizza, I can't recommend enough.